WordPress provides plenty of benefits and features to the countless millions who use it. More popular than any other content management system in the world, as many as one in three websites run using the platform. 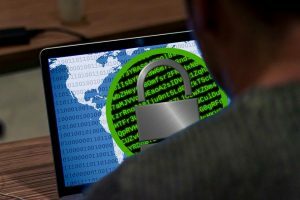 While this results in consistent updates, plenty of plugins and a whole host of other benefits, it also makes the platform a prime target for would-be hackers and criminals. Whether you’re being targeted for the placement of pesky ads or because of more malicious things, there are plenty of reasons why you want to prevent it. Below, we’ll run through how to stop some of the most common WordPress hacks. There are constantly new updates being released for WordPress. While this may seem a bit inconvenient or irritating, understand that it is for your safety. Besides the improvements that the WordPress team consistently rolls out with each update, their updates serve as patches for vulnerabilities found in previous updates. Every time a new update is released, there are potential complications and bugs created in conjunction with the countless themes and plugins developed by others. By pinging your website with updates whenever they’re released, you can ensure that these vulnerabilities are addressed ASAP. Many web hosting companies even provide automatic WordPress updates, meaning there is very little you have to do once you configure them. With a seemingly unending number of plugins available for WordPress, it’s never difficult to find one exactly fitting your needs. With many free plugins, it can be all too easy to install dozens of plugins to your website in order to offer a wide array of features. Unfortunately, this comes at a cost. Besides the fact that more plugins on your website slows it down, each plugin presents a unique vulnerability as we mentioned above. Whenever there are new updates or enough time has elapsed to allow would-be hackers to find existing vulnerabilities, this provides them with an opportunity to gain backdoor access to one or more of your website’s functions. This is why it’s important to deactivate or outright uninstall any plugins on your website that are unnecessary or not in use. There are literally hundreds of elements and points of access for would-be hackers; it can be hard to keep them all secure. Fortunately for most, operating on a shared hosting space with a major provider covers most of the bases. However, you want to constantly be pinging your website for potential vulnerabilities that could be exploited. Some of these include turning off unnecessary comment functions on pages, double-checking your directories’ permissions via FTP, using secure and complex passwords, and making it difficult for bots to use certain features like registration forms. Ultimately, you can prevent the vast majority of would-be hacking attempts by beefing up security in just a few areas. By minimizing the number of plugins you use and always updating WordPress – along with common-sense tactics like secure passwords – you’ll avoid advertising any low-hanging fruit to would-be hackers. Whether it’s SQL injection attacks, brute force or simple password guessing, most of these attempts can be thwarted with just a bit of preparation.